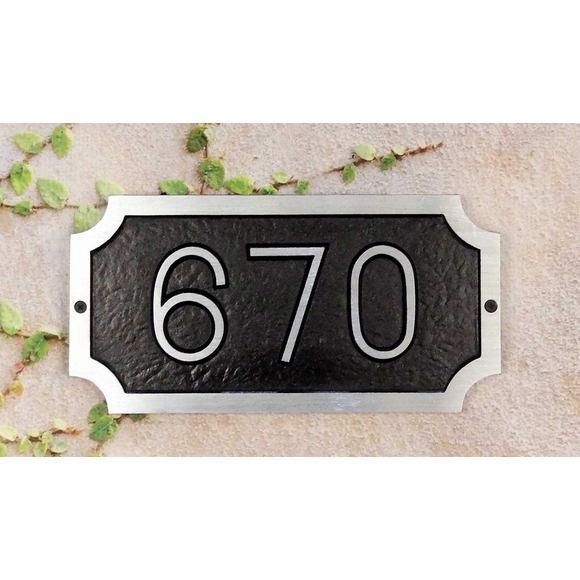 House Number Address Sign - - rectangular cast aluminum personalized house number address plaque. Wall mount. Made in USA. Traditional rectangle wall sign features upscale concave corners.